Ability to identify and recommend system and process improvements. On-site desktop, laptop, server and networking equipment installation. Remote desktop, laptop, server and networking equipment maintenance and support. Support mobile phones including blackberry, Droid, iPhone and Windows. Support of data security systems that include anti-virus, anti-spam and anti-intrusion. Must have sales or management experience in the medical field with a passion to deliver new business. Exceptional communication and presentation skills with the ability to sell and promote our IT service offerings to local physicians and medical practice leadership, and to manage existing accounts for retention. Prior business relationships and the ability to open doors and create positive awareness of our brand is required! You must reside in the Raleigh/Durham Market Areas. Preferred candidates will also have some IT awareness or experience, along with knowledge about practice management, EHR / EMR, technology and medical practice workflow. Competitive compensation package for the right individual. Tier3MD is searching for candidates to fill the position of Network and Systems Engineer in the new IT Divisions throughout the country. Preferred candidates will have previous experience with Healthcare IT, including EMR and Practice Management Solutions. If you want to get involved in a start-up IT Business and are qualified to help shape the new operation, this could be the place for you. 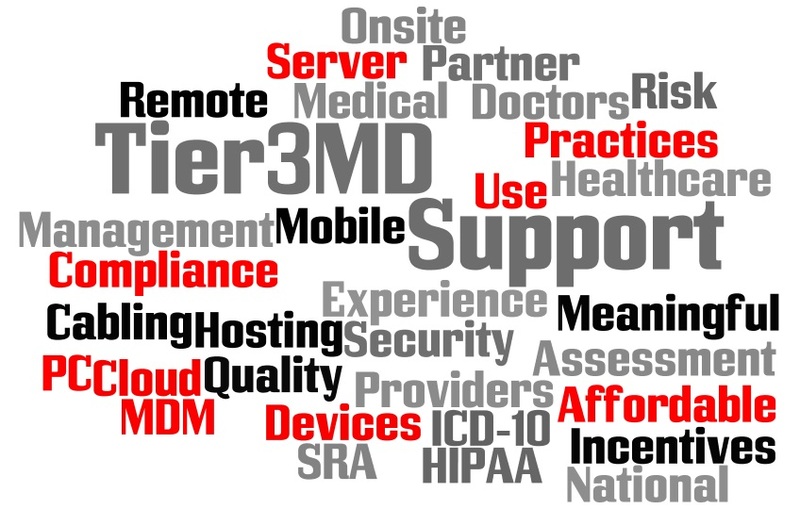 Tier3MD is always looking for top notch candidates to join our team.